What Kind Of Relationship Should Empaths Really Be In? A lot of times people who happen to be empaths can have substantial difficulty in relationships. And the reason for that is because empaths typically prefer to spend time on their own. This is due to the fact that they often get overwhelmed when they are surrounded by so many people who are going through their personal issues and drama. However, there are plenty of benefits that come with being in a loving relationship with the right person. Yes, you can always get social support and emotional boosts from friends and family. But it’s always different when you have that one special person with whom you share a very close and intimate bond with. And that bond is something that is built over time – and with lots of effort and commitment as well. Being alone can be very helpful to you as an empath. You are given an opportunity to really balance and awaken your soul. Think of it as a form of rejuvenation that you can go through whenever you get time to be on your own. However, you also need relationships if you are going to make it through this world. You also need people in your life who can support you when you are unable to carry through life on your own. You need people to help you overcome the many obstacles that you will have to face. You are going to need lots of patience, understanding, and love for those who mean the most to you. You are also going to need physical forms of intimacy and affection from those who are closest to your heart. These things can give you a sense of safety and security in your own life that carries lots of threats and harms. And if you are contemplating getting into an intimate relationship with someone, here is a guide that will help you decide on what kind of relationship is right for you as an empath. What it means when you go after your exact opposite. Is it really true when they say that opposites attract? Is there really any truth to the idea of you being able to make things work with someone who is virtually unlike you in every way imaginable. 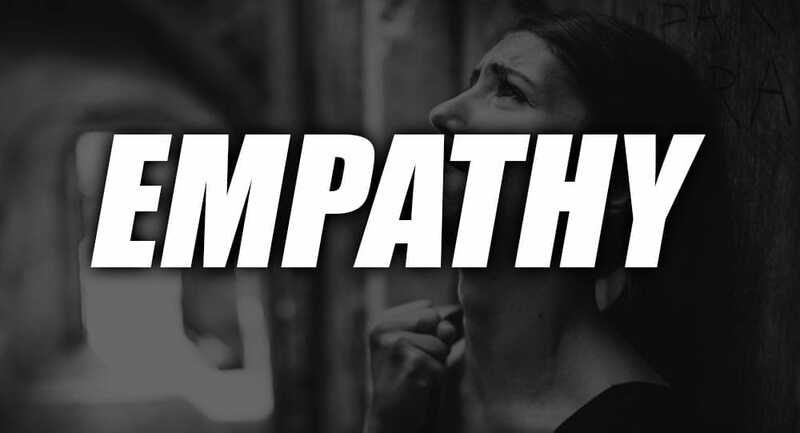 Yes, you are an empath. Does that mean that you are able to make things work with narcissists, psychopaths, and abusers? Well, the short answer is no. Don’t buy into the belief that opposites automatically attract. As an empath, you are susceptible to the damage of the toxicity of these people. They have the power to emotionally drain you and you will be left with nothing to show for it. Be very careful not to fall into the traps that will be laid out by these toxic individuals. Yes, it can be very tempting to fall in love with the charmer; the one who shows vast interest in you. But take note that these toxic individuals are so good at masking their toxic ways with charm and charisma. They will make you think that they are your perfect matches, but then they will leave you high and dry once you really invest yourself and they’ve used up as much as they can from you. Remember that in a relationship, there always has to be a healthy balance of give and take between both parties involved. And when you get into a relationship with any of these toxic people, the scales are going to shift to their favor in a substantial manner. And you’re going to be left feeling cheated, unfulfilled, and disappointed because of how much you’re giving and how little you’re getting in return. You never want to be in a relationship with someone who is only going to use you and deplete all of your emotional strength. What it means when you go after another empath. While it’s almost impossible for you to make things work with someone who is your virtual opposite, it can also be just as challenging when you end up with someone who is a lot like yourself. In that scenario, you are both going to be very strong emotional creatures. And having high levels of emotions in your relationship isn’t always going to be a good thing. In fact, you both risk getting crushed and pummeled underneath the pressure of your own feelings. And it can be very hard for you to navigate your way out of the emotional holes that you will be digging for yourselves. But at the end of the day, it’s always important for you to go after what feels right for you. No one should get to dictate what kind of relationship you land for yourself. You are the one who should be taking full ownership of your life. Just make sure that you are protecting yourself from any potential pain in the future. Lead with the heart but make smart decisions as well.